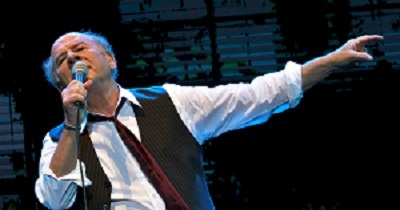 Although it has been over 40 years since Bridge Over Troubled Water was recorded, Art Garfunkel's image and signature vocal remain among the most instantly recognizable in popular music. His "beautiful countertenor," as Neil Strauss described Art's voice in The New York Times, is clear and resonant, surely one of the finest instruments in all of popular music, and a time-honored friend to a world of listeners. In June, 2015, the Rock & Roll Hall of Fame member and Diamond-selling singer was invited to Tel Aviv, Israel, where he packed the 10,000-capacity Bloomfield Stadium, and in October of the same year, he sold out New York City's famed Carnegie Hall.